Specialist unagi restaurants generally fall into two categories. Most follow tradition, evoking the old days when grilled freshwater eel was a humble food of the masses. Others adopt a more sophisticated, formal approach for their eel cuisine. But Ryo boasts a style very much its own. It doesn’t look much like a restaurant, either inside or out. The squat metal-frame building is barely noticeable from the street. You take an external stairway up to an unobtrusive front door. Inside, you find a low timber counter running the length of a narrow open kitchen. But the rest of the spacious chamber feels more like a living room or a musician’s den. Album covers and guitars hang on the walls and second-hand furniture occupies the corners of the dining room. It feels comfortable and relaxed, like you’ve entered someone’s home. This is the calm, mellow domain of owner-chef Ryo Murata. 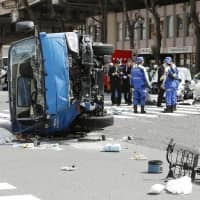 Don’t get the wrong idea: Murata was born into a chef’s family and spent 13 years at one of Tokyo’s most respected unagi restaurants, the venerable Tsukiji Miyagawa Honten. Not only does he have all the skills, he also knows where to source the very tastiest eel. However, when he opened his own place some four years ago, he created it very much in his own easygoing image. 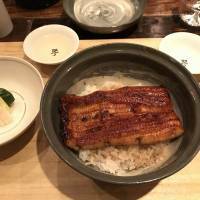 And instead of the just serving the classic, time-honored unaju style — large fillets of grilled unagi basted with thick, sweet-savory kabayaki sauce and served over rice — he offers his eel as a series of smaller plates, with a range of cuts and contrasting textures. It’s also a place for drinking: Each dish in Murata’s tasting menu (¥8,800) is matched with a specific sake. Each sake in this pairing (figure about ¥4,500 in all) is warmed to the temperature that best complements the specific course. Many are undiluted and unpasteurized (muroka nama-genshu) and aged (koshu), with robust flavors and strong umami. Murata’s menu changes monthly, as does the sake selection, but typically it opens with an amuse matched with an original cocktail, perhaps sake mixed with a cider-based aperitif and spritzed with Perrier. This leads into an excellent sashimi plate, as if to demonstrate Murata’s dexterity with fish other than eel. 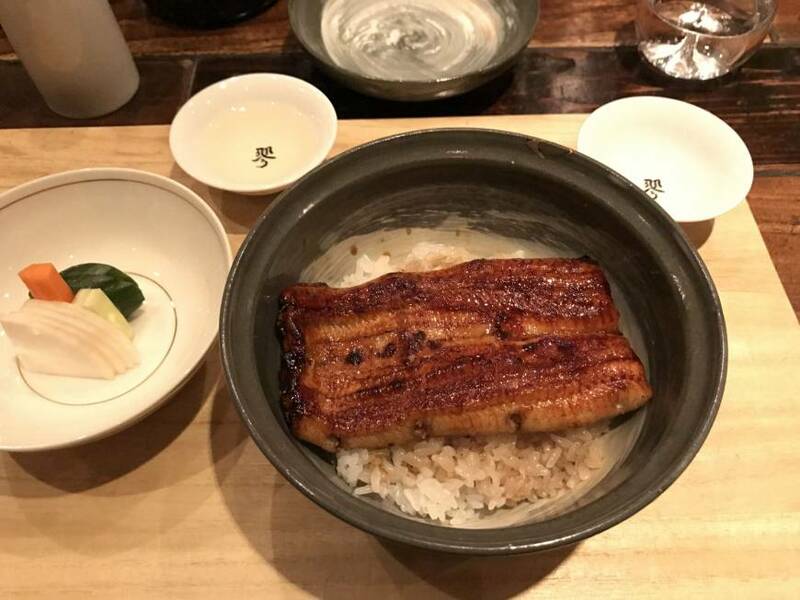 The third course is one of his signature preparations: unagi shirayaki, an eel fillet grilled golden-brown and simply moistened with sake rather than daubed with sauce. Cut into little bite-sized morsels this is evidence that, in the right hands, unagi can be as light and delicate as any seafood. After a tempura course of seasonal vegetables, Murata next shines a spotlight on three parts of the eel less commonly eaten: the backbone, dried and fried into crunchy “crackers” (hone-senbei); a skewer of grilled eel fin (hire-maki); and the eel liver and heart (kimo-yaki), seasoned to balance the inherent bitterness. After another light, vegetable-centric dish it’s time for the “main” course: eel grilled, seasoned with kabayaki sauce (Murata’s own recipe) and served on rice in una-don style. By this time you will be not only well filled, but likely floating on the heady fumes of the sake. Ryo is a remarkable place, unlike any other in Tokyo — and well-deserving of the Michelin star it won last autumn. 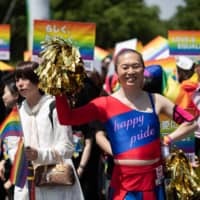 Irregular closing days (check website); set menu about ¥14,000 (including sake pairing); English menu; some English spoken.